Did you know it’s estimated that over half a million people in Wales are living with untreated hearing loss? We certainly didn’t, until we met Mal Johnston, Audiologist and Practice Director of family run business Malmo Hearing, Bridgend. Together with my wife, Mo, who is our Company Secretary, and a hearing aid wearer, we started the business in late 2007. The ethos behind Malmo Hearing was to set up a service that promotes better hearing. Our team consists of our audiologists: myself, Mal Johnston HAD MSHAA; Kim Spargo HAD MSHAA BSc who is also our Quali ed Ear Care Specialist; Michelle Harris HAD MSHAA BSc who is a published author on audiology practice; and Leanne Andrews HAD MSHAA FDSc who is our daughter, and also a Hearing Aid wearer – Leanne looks after our clinics in Gwent. Completing our team are Rachael, John, Practice Manager (Kim’s sister); Mo Johnston, Company Secretary and Hearing Aid wearer: Hannah DaDamo who is our part time receptionist (and also our daughter) and Jakub Wiatr who is our Of ce Manager and Hearing Aid Repair Technician. We pride ourselves on the experience of our team, and that each of our audiologists is Health Care and Professions Council Registered. 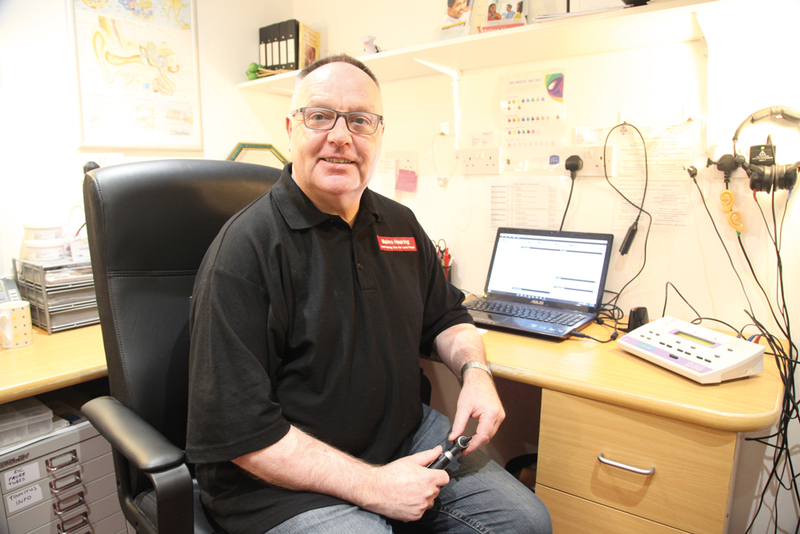 Our high street branch in Bridgend is open six days a week where our core services are hearing assessment, hearing aid demonstrations and the repair and servicing of any make of hearing aids. We supply advice and products to protect your hearing if you are a musician, work in lots of noise, provide hearing protection for shooting, radio communication, swimming, snoring and so on. Our dedicated ear wax micro suction removal service is popular; this is where we remove wax from the ear where there is a build-up of wax or an underlying infection. We supply up-to-the-minute digital hearing aids – in fact, these are our core products. We also supply hearing aid accessories, assistive devices for the hard of hearing (for example hearing aid compatible telephones). We carry out testing by appointment for noise induced hearing loss claims and medical negligence on behalf of legal practices’ clients. Additionally we’ve built up a network of day centres, this is where we bring the hearing service to an area one day a week, through partnerships with independent opticians, health centres or independent pharmacies; basically independent businesses like ourselves, and provide our services locally. We currently have twelve day outlets around south Wales. What advice would you give our readers when buying a hearing aid, and what sets you apart from the competition? To make the right decision you have to consider more than just the cost. Price is of course important, but the particular hearing loss a potential client may have and their lifestyle must be considered along with what level of technology would be needed. Many factors need to be addressed so the client gets the best advice and a good choice, and solution, to their particular needs. Customer service is key. We offer a sixty day 100% money back guarantee on all our hearing aids. We support our clients by providing warranties, scheduling regular free of charge check-ups and providing assistance as and when they need it; so a truly all round local service. Local hearing care for local people – this is the philosophy of the business and what sets us apart from the competition? We sell better hearing, not hearing aids. Also, we’re not tied to any particular manufacturer so this allows us to independently provide an unbiased choice for our clients’ needs. A little bird tells us you’re involved with the local community too? We support and raise money through promoting deaf and hearing impaired charities on a regular basis. This is part of our commitment to educating the public about hearing loss and encouraging them to look after their hearing as they would their sight, their dental needs, and their general health. And your plans for the future? We plan to open a further day centre in Tonypandy in January 2016. We also want to open a further two day centres in the Port Talbot and Neath areas in the second quarter of 2016. We also intend to open a second, full time, high street branch in Gwent in April 2016. Also we are due to visit Las Vegas in January 2016 to attend the Starkey EXPO ve day conference, ensuring we are aware of, and can offer, the latest cutting edge technology to our clients.